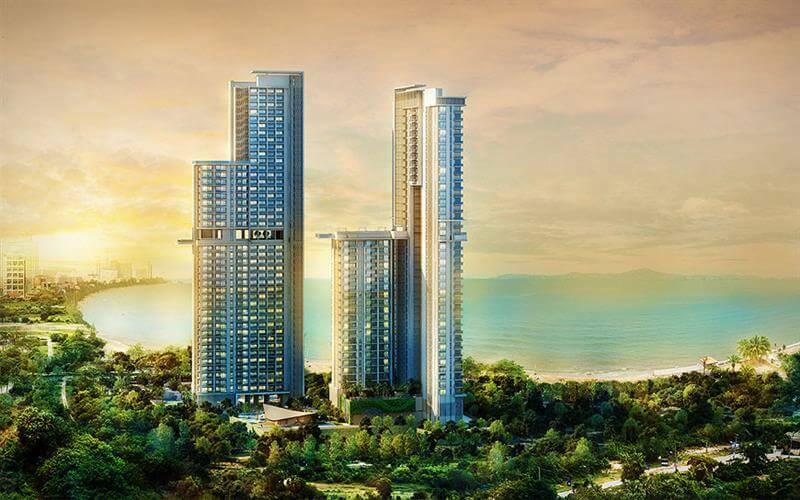 From the developer of the award-winning The Palm comes the latest five-star development in Pattaya’s most exclusive area – Wongamat Beach – in the form of The Riviera. 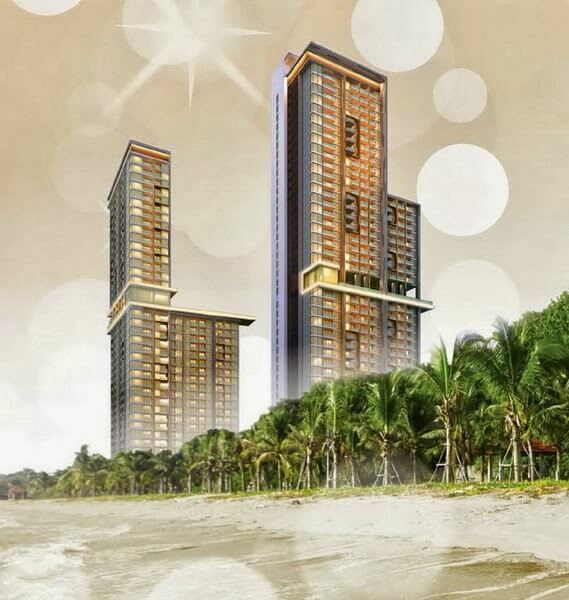 The Riviera – Wongamat Beach consists 979 apartments spread between two towers of 43 and 40 storeys and is located on a large plot on Soi 16 in Wongamat. 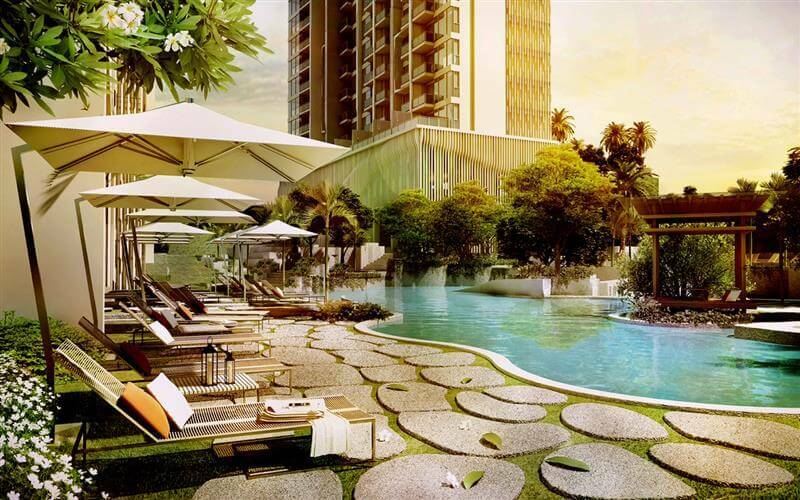 The large size of the plot allows for a larger proportion of green areas and facilities than are usual in Pattaya’s most upmarket neighbourhood, including a huge lagoon pool that flows throughout the complex – surely offering the largest surface area of pools in the area. 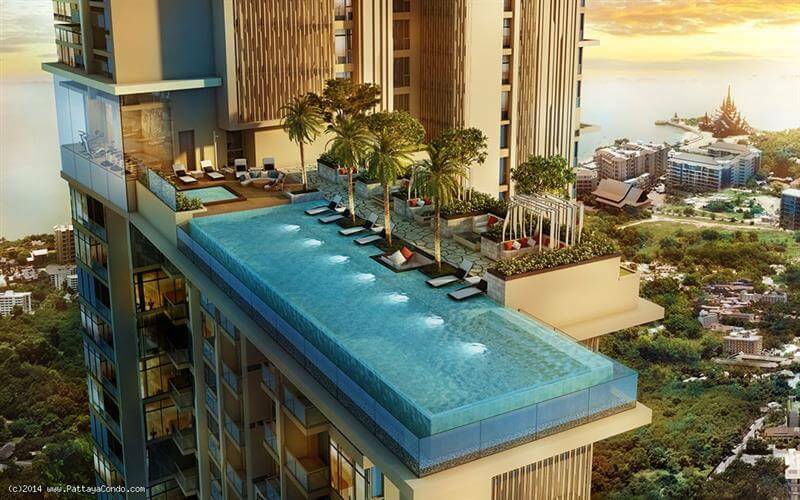 This huge lagoon pool is just one of a whole host of facilities on this world class development. 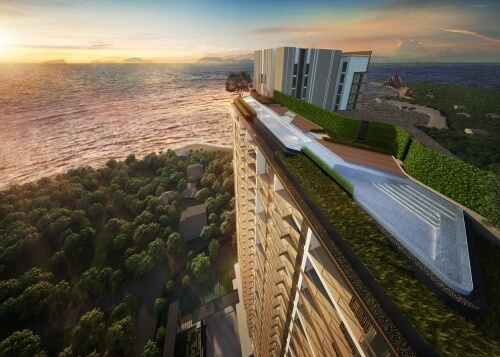 For those preferring to swim with a view of the magnificent skyline of Pattaya City before them, there are also additional infinity pools on the 24th floor of the towers. 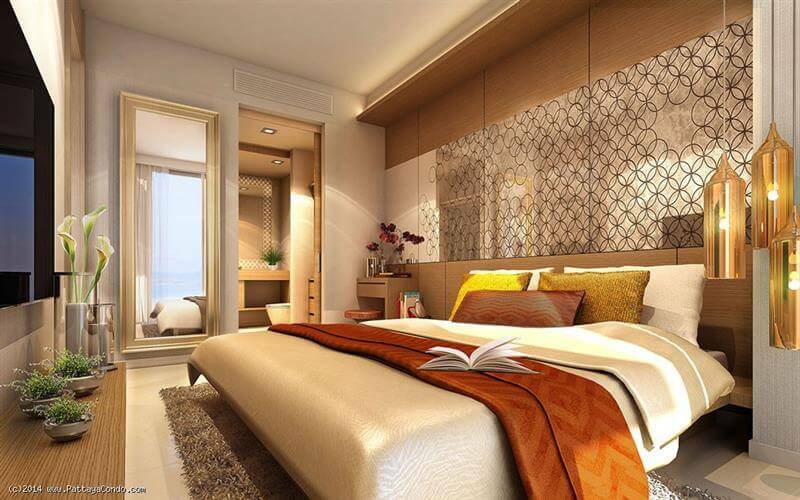 In summary, there are few developments in Pattaya which can rival the amount of on-site entertainment options which are available at The Riviera. What makes The Riviera really special though are the sea views which are available from over 95% of the apartments located in the two towers. With only the low-rise Ananya complex between The Riviera and the sea, which is a mere 250m from here, the views to the west towards Koh Larn island are excellent. 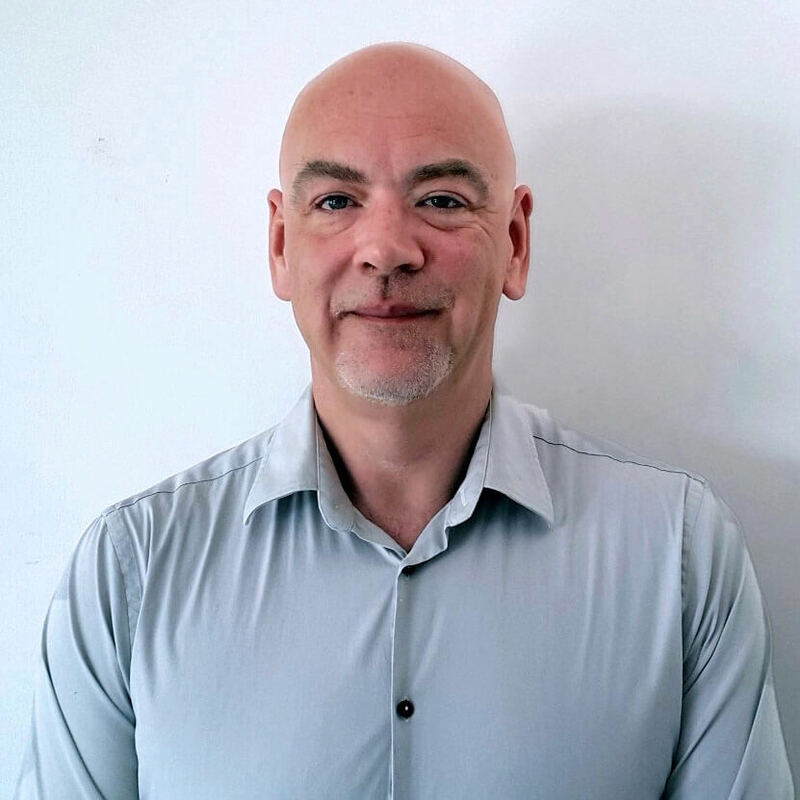 With no other high rise buildings close to the development, there are also excellent views to both the north and north-east, where owners get to enjoy not only sea views, but also the famous Sanctuary of Truth carved wooden temple which is surrounded by beautiful green parkland. 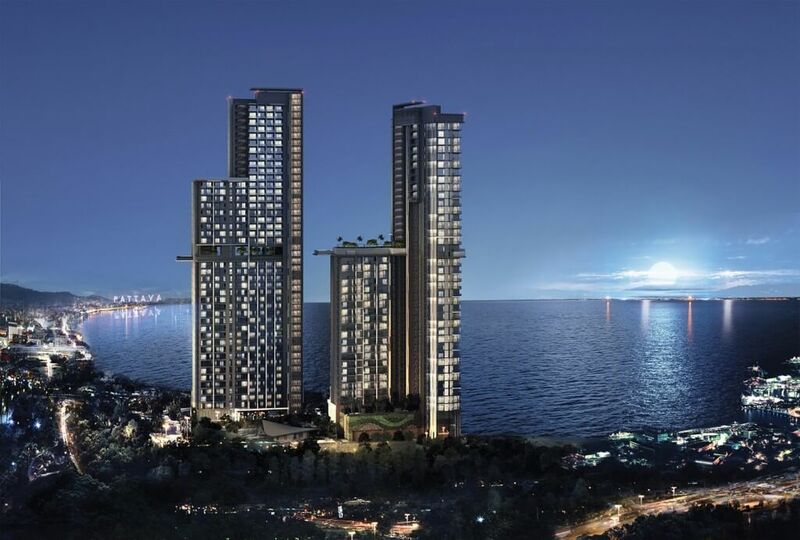 Those wishing to swim in the sea rather than the many different pools on offer at The Riviera will appreciate the fact that the development is located just two minutes’ walk from Wongamat Beach – widely acknowledged as being one of the best beaches in the Pattaya area. And for those who prefer nightlife to beach life, all of Pattaya’s major attractions are just ten minutes away from The Riviera’s location. 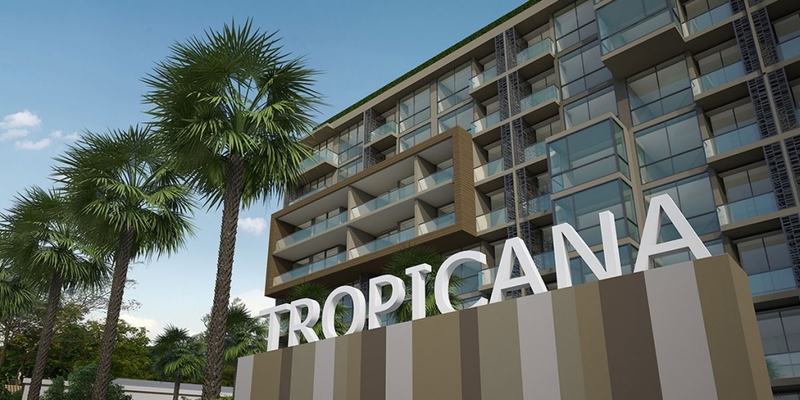 Despite the fact that Soi 16 in Wongamat is widely considered to be Pattaya ‘Millionaire’s Row’ due to the fact that many of Pattaya’s leading five-star hotels are within easy walking distance of here, the pre-launch prices at The Riviera are surprisingly well-priced in comparison with the other options in the area, with 27m2 studios starting at under THB 2.5 million. 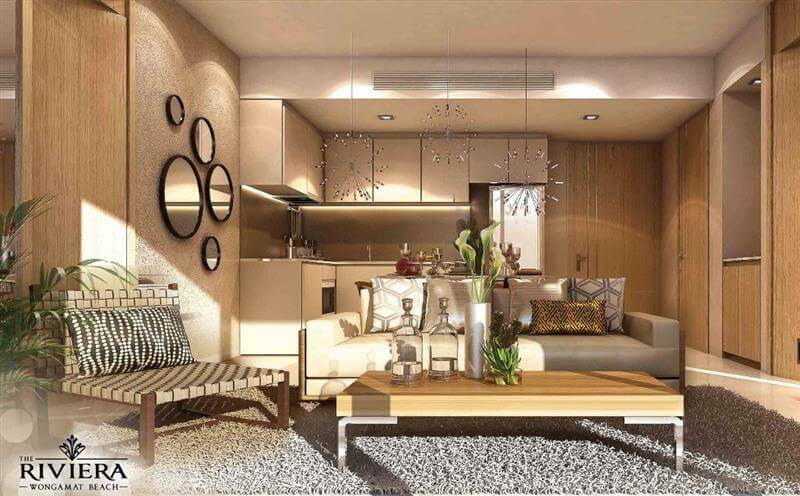 Buyers here have a wide variety of unit sizes to choose from ranging from modestly prices studios through to sumptuous penthouses and so there is sure to be a unit size here which meets with all your needs. 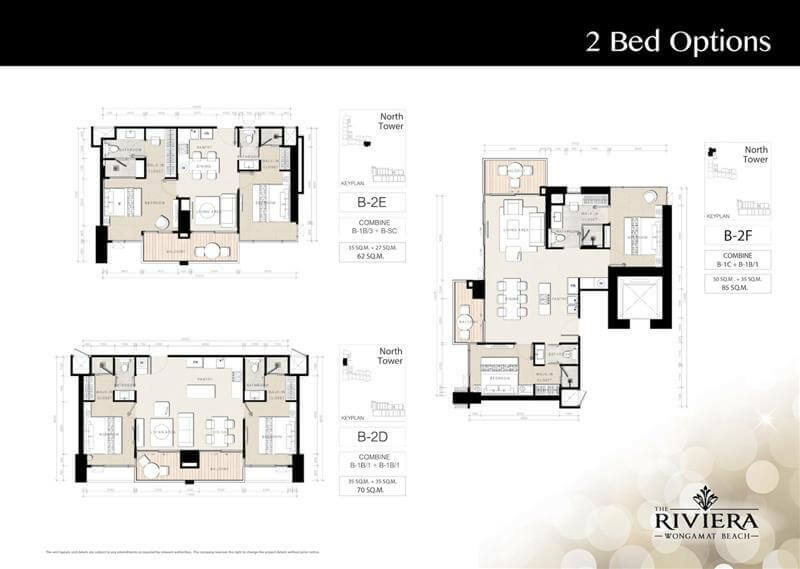 There is also the opportunity to combine units in order to create larger apartments.